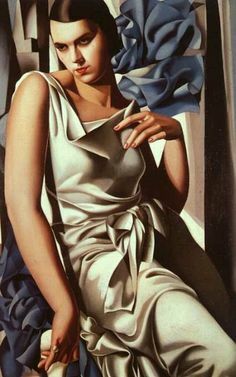 Born, most likely, in Moscow in 1895 (though she liked to say it was Poland in 1902) to a wealthy family that emigrated, before the second world war, first to Paris, and then to California and New York, de Lempicka was glamorous, spoilt, demanding and bisexual. 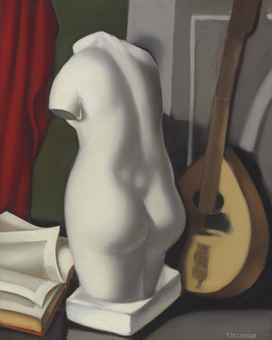 All of those attributes emerged in her painting. 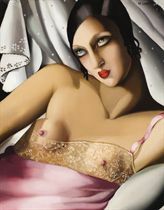 Two of the pictures here show at her dramatic best, and are even stronger in the flesh than they are in the catalogue. 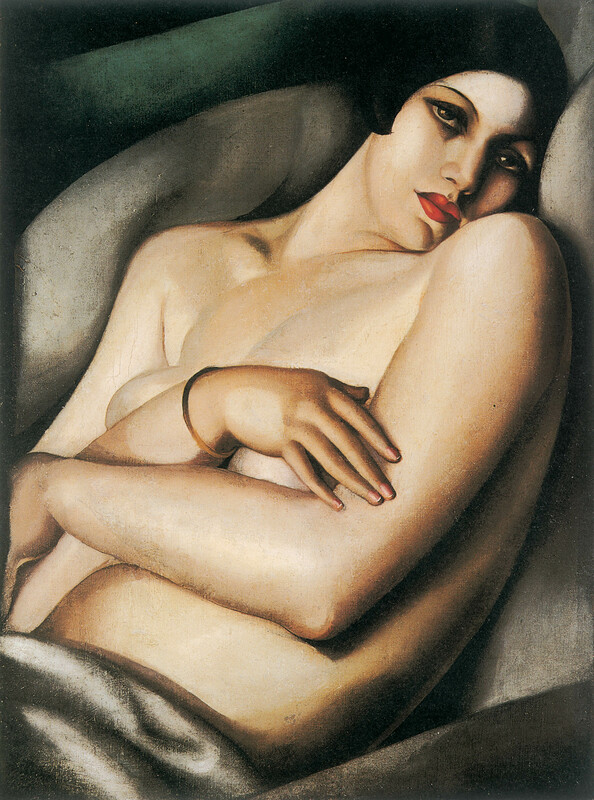 The 1932 portrait of Marjorie Ferry (pictured above), which Mr Joop bought in 1995 for $500,000 and for which he is now asking $4m-6m, shows a figure resembling Carole Lombard wrapped only in a sheet, casting a knowing look over her shoulder. 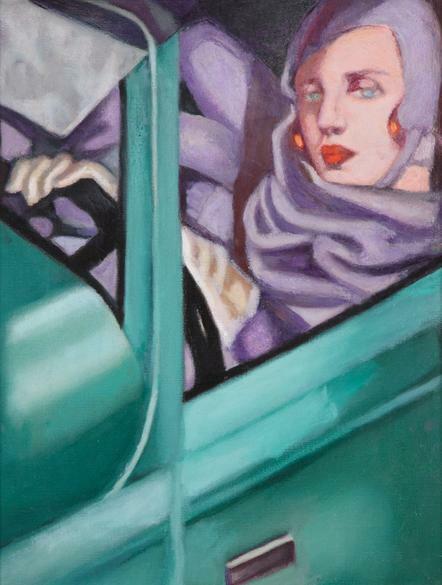 With her hair in gold twists and her sheet that seems bent rather than draped, the texture is metallic as much as celluloid, conjuring up the sleek gleam of cars in the age of speed. 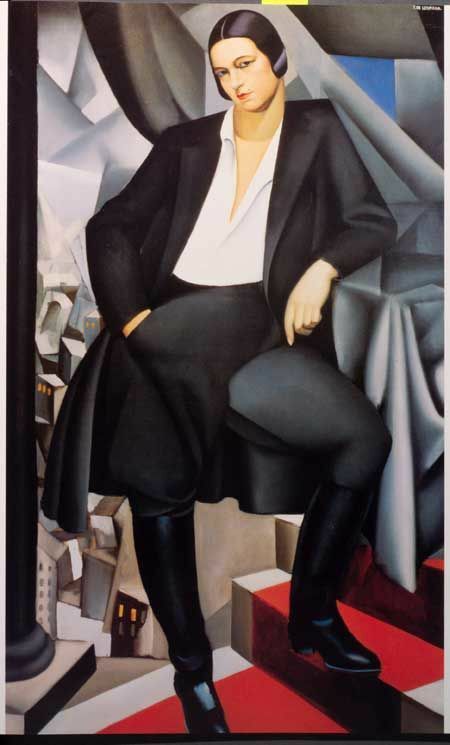 Muscle rather than metal is the theme of the 1925 portrait of Marika, the Greek-born Duchesse de la Salle de Rochemaure, which carries the same estimate. 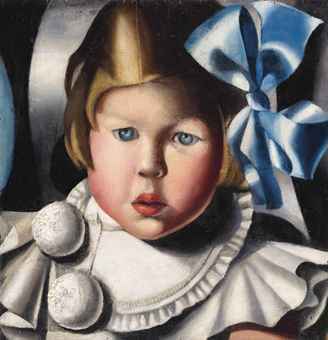 Tall, well-rounded and boasting a beauty spot above her lip, the sitter has all of de Lempicka’s trademark characteristics, once described as “lighting by Caravaggio, tubism by Fernand Léger and lipstick by Chanel”. The picture radiates bisexual power. The Duchesse appears at first to be wearing black riding jodhpurs tucked into her boots, but when you look more closely it could just as easily be a black skirt pulled up almost to the crotch to reveal a powerful inner thigh. 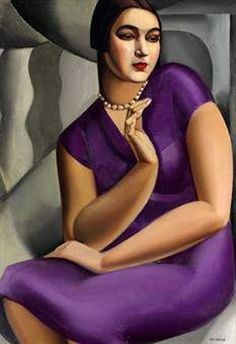 A. Blondel, "Tamara de Lempicka, Catalogue Raisonne 1921-1979", illustrated, pg. 423. 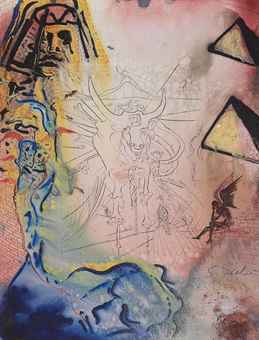 Two Salvador Dali paintings are up for sale. 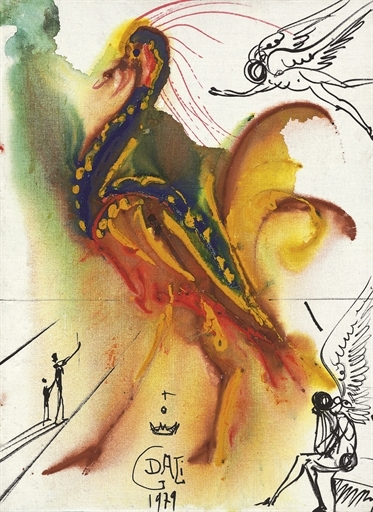 SALVADOR DALÍ, GRADIVA, 1931. ESTIMATE £1,200,000-1,800,000. 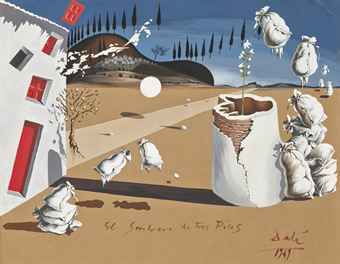 SALVADOR DALÍ, MAISON POUR ÉROTOMANE, CIRCA 1932. ESTIMATE £1,200,000-1,800,000. 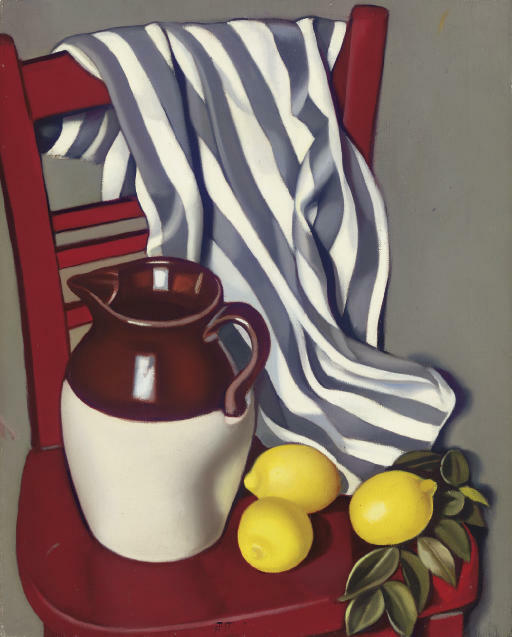 and "Maison pour Erotomane" (circa 1932), have been in a private collection in Argentina, having been bought directly from the artist by an Argentinean countess. 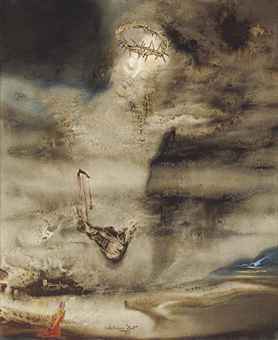 Salvador Dali's 1962 painting Coeur-Sacré de Jésus is offered at Bonhams Impressionist and Modern Art Sale, 22 June at Bonhams New Bond Street, London. Coeur-Sacré de Jésus is estimated at £800,000-1,200,000. 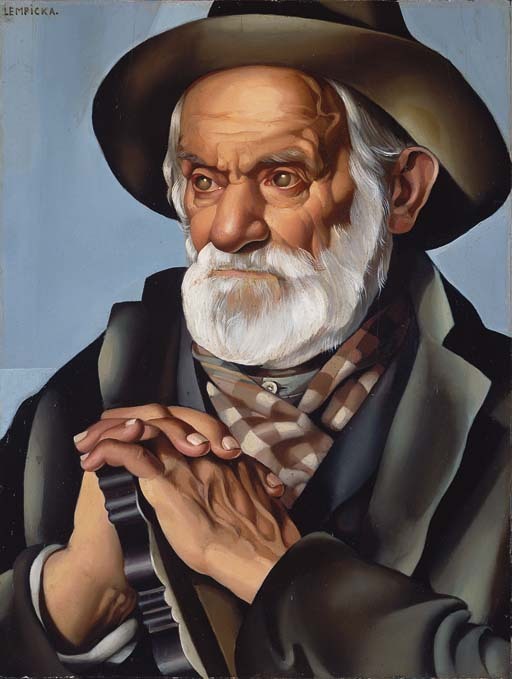 Modeled with thoughtful academic technique, Coeur-Sacré de Jésus is an exceptional example of Dali's work from the period following his return to religion and classicism. 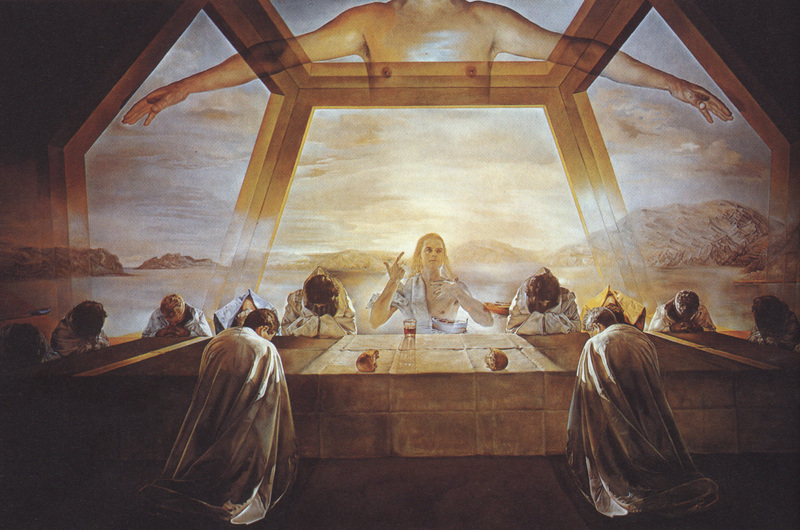 The prevailing influence of the Renaissance Masters on Dali's Christ is evident, particularly that of Francisco de Zurbarán, whose realistic paintings of monks, nuns and martyrs featured strong contrasts in illumination. 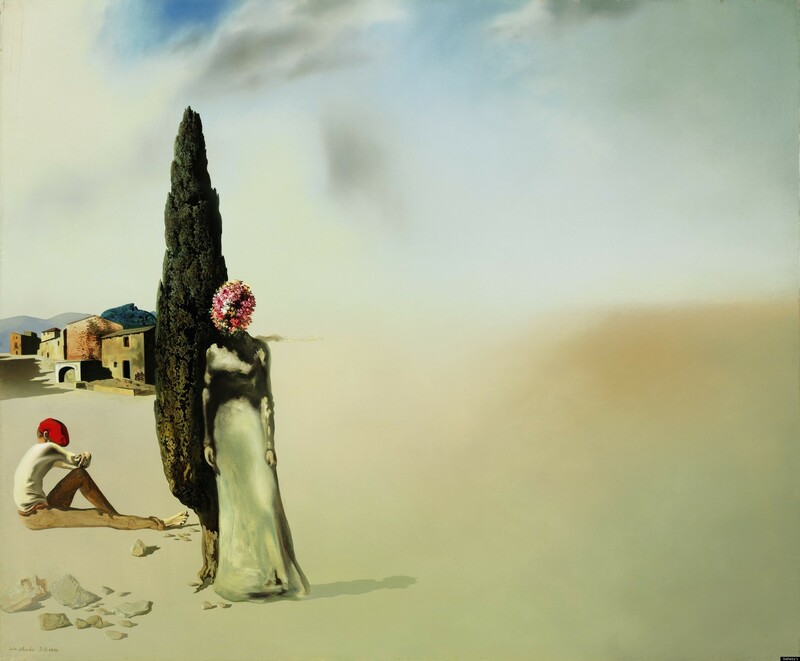 The oil on canvas offers an insight into Dali's personal beliefs at the time. 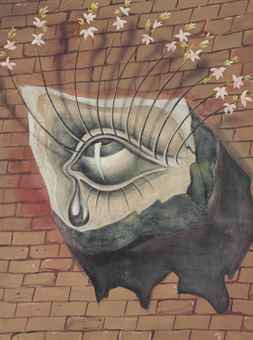 Dali's spiritual awakening, which was derided by the Surrealists with whom he had been closely associated in the 1920s and 30s, has been read as a desire for peace following the social and psychological dislocation stemming from the Spanish Civil War and World War II. 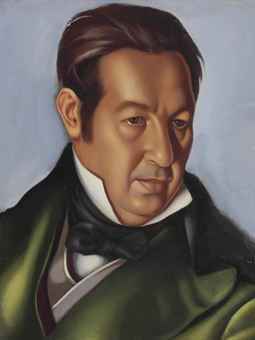 The painting was the result of a commission from a devout Catholic philanthropist, American businessman Harry G. John. 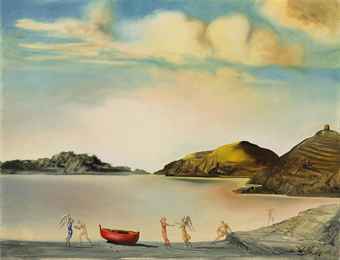 This allowed Dali to convey the sincerity of his renewed beliefs. 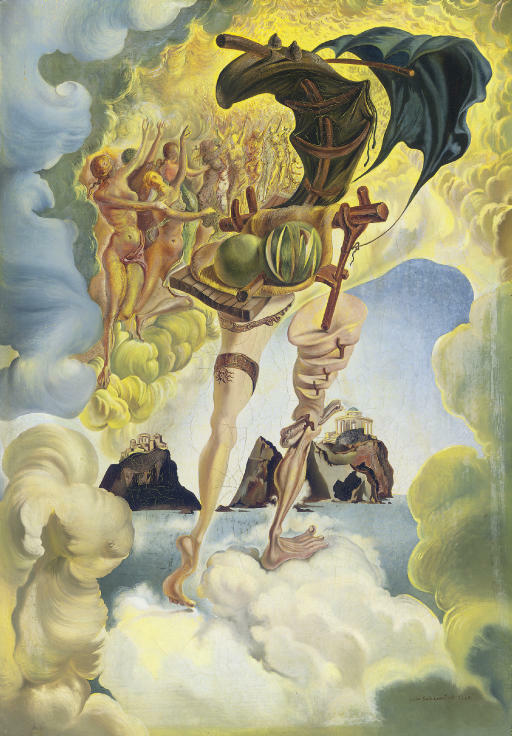 India Phillips, Bonhams Director of Impressionist and Modern Art said, "Salvador Dali's Coeur-Sacré de Jésus is a wonderful illustration of the artist's theory that heaven is to be found in the heart of the individual, attained through the very act of belief. 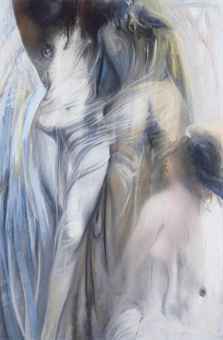 Following on from the success of his Figura de perfil (La Hermana Ana Maria) in Bonhams recent Impressionist and Modern Art sale, we are delighted to offer another unique example of Dali's work, hailing again from a private collection in Spain and painted during such a significant period in his career." 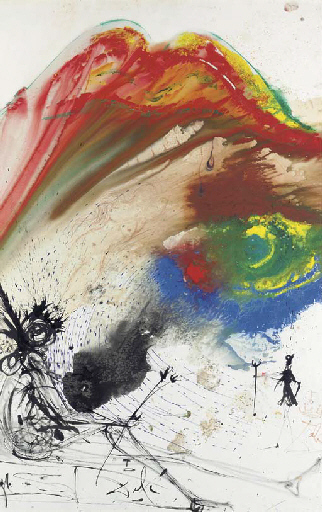 Throughout much of 1928 Salvador Dali was greatly preoccupied with ideas about anti-art, the establishing of a new-objectivity and the exploration of what his new Catalan friend Joan Miró had recently defined as ‘the assassination of painting’. 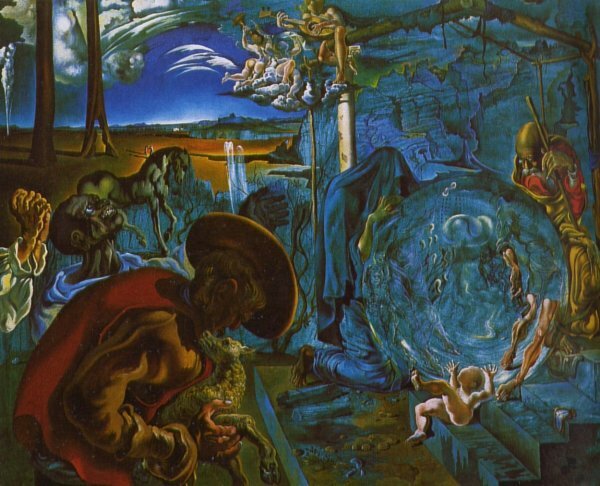 Fishermen in the Sun is the finest of a unique, distinctive and very rare series of six relief-paintings made during this period in which Dali pioneered a completely new stylistic direction in his work; of these six paintings, four now reside in museums including the Fundación Gala-Salvador Dal, Figueras and the Reina Sofía, Madrid (estimate: £700,000-£1,000,000). 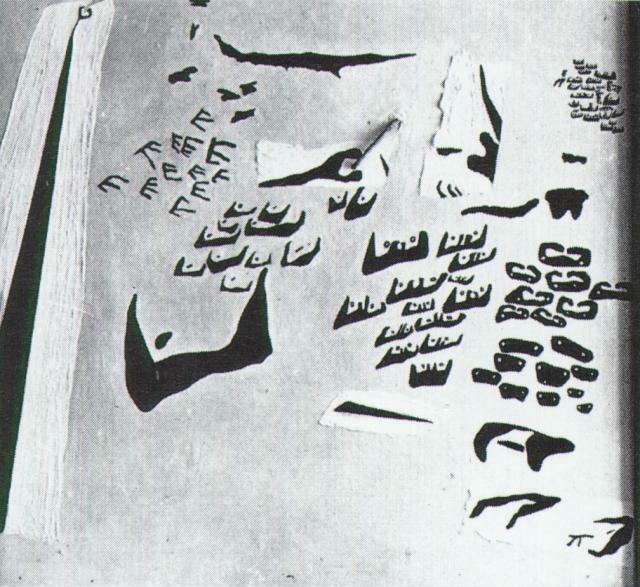 In 1928, Dali embarked on a unique series of works that made use of real, tactile, three-dimensional materials and reduced his already amorphous and anamorphic forms to two-dimensional semi-abstract cyphers that simultaneously suggested many different things at once. 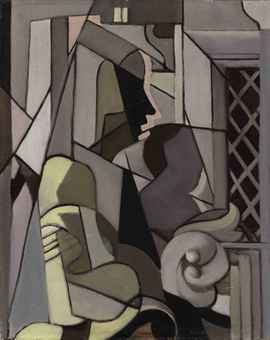 His aim was to move beyond all the old ideas of painting while widening the revelatory potential of his art to speak directly to man’s unconscious mind. 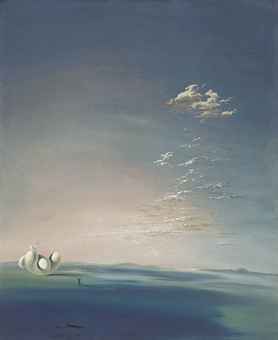 As Fishermen in the Sun highlights, Dali forged a series of radically new psychic landscapes that, with their suggestions of an atemporal sandy plain of strange hallucinatory possibility stretching out beneath a strip of empty blue sky, lay the foundations for the dramatic, hyper-realist paintings that he began his Surrealist career with in 1929. 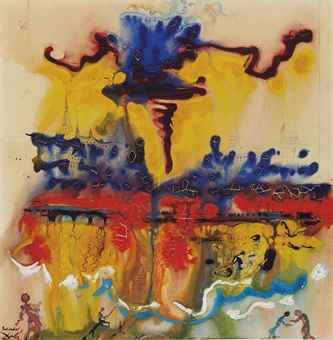 Sotheby’s Evening Sale of Impressionist and Modern Art on 2 May 2012 was be led by Salvador Dalí's Printemps nécrophilique from 1936. 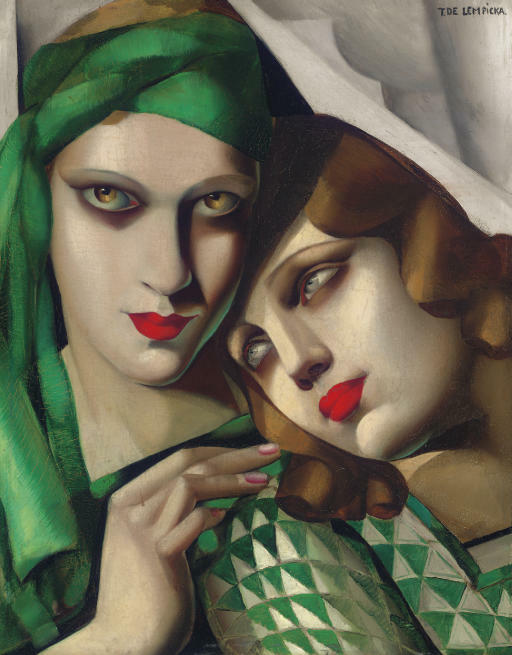 Painted at the height of the artist’s most creative years in Paris, the canvas exemplifies his unique aesthetic at its most refined and sensational. Printemps nécrophilique has not appeared on the market in nearly 15 years and is estimated to sell for $8/12 million*. 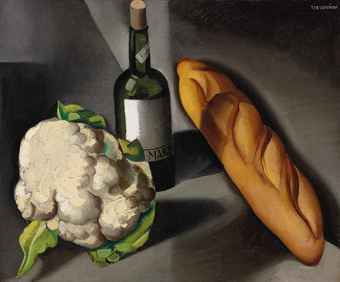 “Surrealism is the last great movement of 20th century modernism to be fully appreciated in the marketplace, and a number of new benchmarks have been set just over the course of the last year,” commented Simon Shaw, Head of Sotheby’s Impressionist & Modern Art Department in New York. 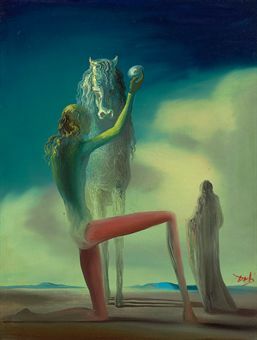 By the time Dalí painted Printemps nécrophilique in 1936, he had established the style and the personal iconography that characterizes his most successful compositions. 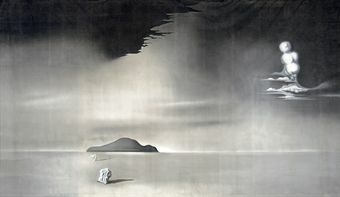 The eerie infusion of dreamscape with hyper-real figural elements is a hallmark of the artist’s approach. 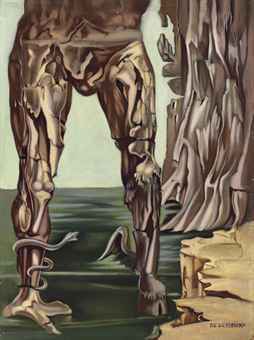 In the present work, Dalí depicts two figures that offer a confounding combination of anonymity and specificity. 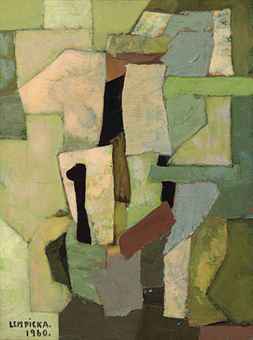 He envelops the figures in a wide expanse of plains and sky, reminiscent of the endless landscape of his native Catalonia. The lithe and graceful male figure at left recalls the artist's own profile, which will appear again in the artist's masterpiece painted the next year, Métamorphose de Narcisse. 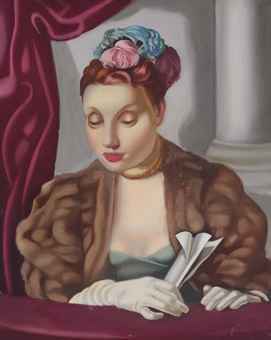 The flower-headed dominant female figure is one of the artist's most memorable characters, appearing in significant compositions such as Femmes aux têtes de fleurs retrouvant sur la plage la dépouille d'un piano à queue and staged in London for the 1936 International Surrealist Exhibition. 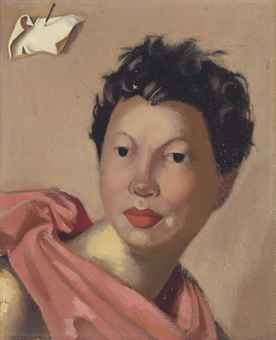 The canvas was originally owned by Elsa Schiaparelli, the couterière active in Paris during the first half of the 20th century. 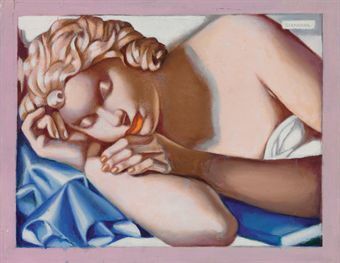 She staged momentous events in Paris and occasionally collaborated with Dalí - their work together is explored in detail in a current exhibition at the Metropolitan Museum of Art in New York, Schiaparelli and Prada: Impossible Conversations. 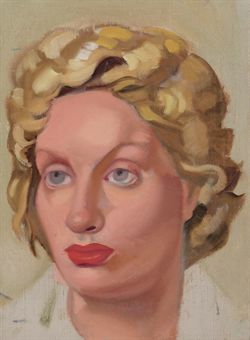 One of Salvador Dalí’s most accomplished portraits Portrait of Mrs Harrison Williams, was commissioned directly from the artist and painted by him in 1943. 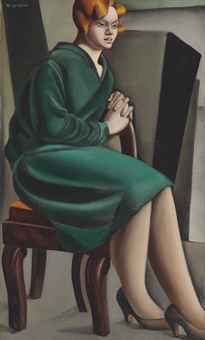 Estimated at £1.5-2 million, the painting – offered for the first time at auction - depicts Countess Mona Bismarck (1897-1983), who was at the time of the portrait married to Harrison Williams, reputed to be one of the wealthiest men in America. After their marriage in 1926 she swiftly became known as one of the most glamorous and beautiful women of her day; becoming the first American to be acclaimed as ‘the best-dressed woman in the world’ by the luminaries of fashion. 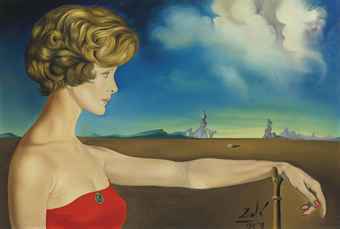 Dalí's dazzling depiction of the legendary Mona Bismarck is filled with classical allusions and Surrealist symbolism making it one of the most ambitious pictures he had produced by this point in his career. 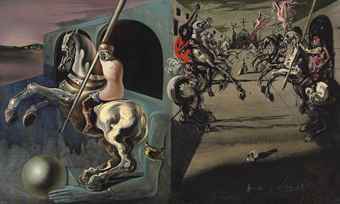 The painting was executed just three years after Dalí arrived in New York City, having fled Paris with his wife Gala in 1940. 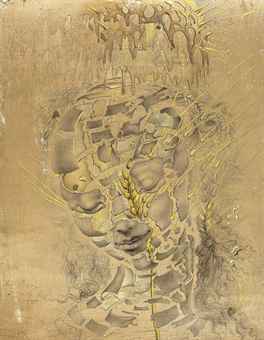 After his arrival, he was swiftly assimilated into the group of European Surrealists that had coalesced there at the outbreak of World War II. 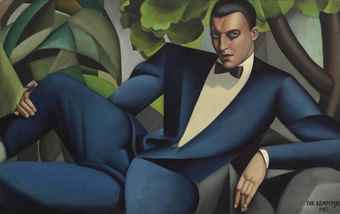 Together with them, he mingled with many of New York’s social luminaries, receiving from them prestigious commissions for works such as this, and the portrait of Helena Rubinstein sold at Sotheby’s New York for $2.65m in May 2011. 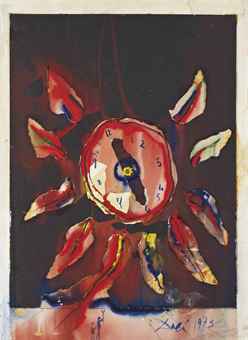 Portrait de Paul Éluard for £13.5 million (pre-sale estimate £3.5-5 million) from the private collection sale Looking Closely. 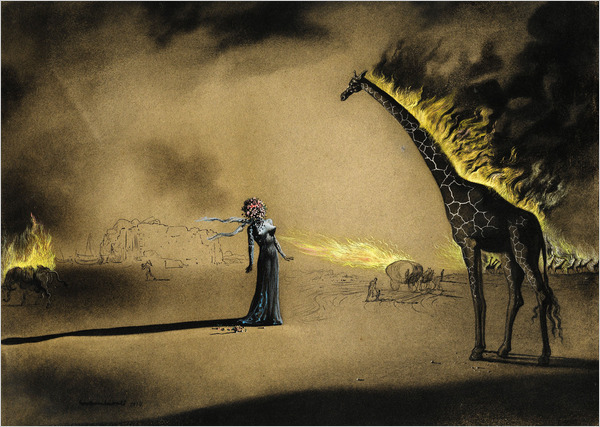 Girafe en feu” (Giraffe on Fire), a large gouache on paper signed by Salvador Dalí in 1937 belongs to the early phase of Surrealism, rarely seen at auction these days. 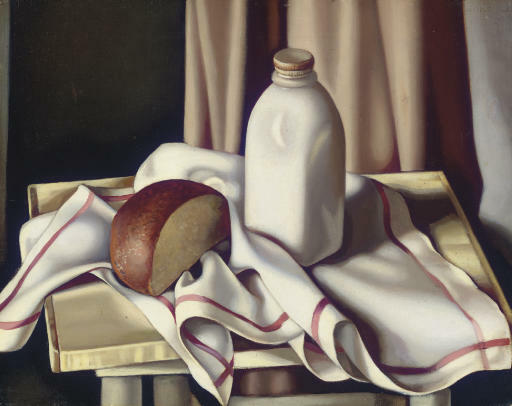 Sotheby’s gave the rare work a $150,000 to $200,000 estimate. Obviously too low, it could easily have been doubled. 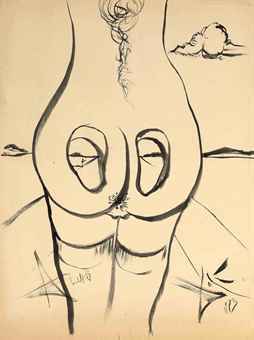 But the best specialists never imagined that it might end up at $1.87 million, and set an auction record for any work on paper by Dalí. 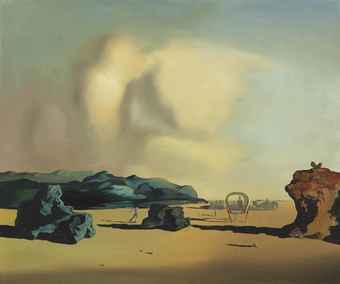 Salvador Dali’s 1941 Sewing Machine with Umbrellas in a Surrealist Landscape is also fresh to the market. 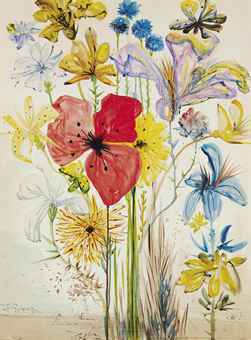 It was acquired directly from the artist by its current owner, and has been seen in public only once since then, at a Dali retrospective in Shanghai. 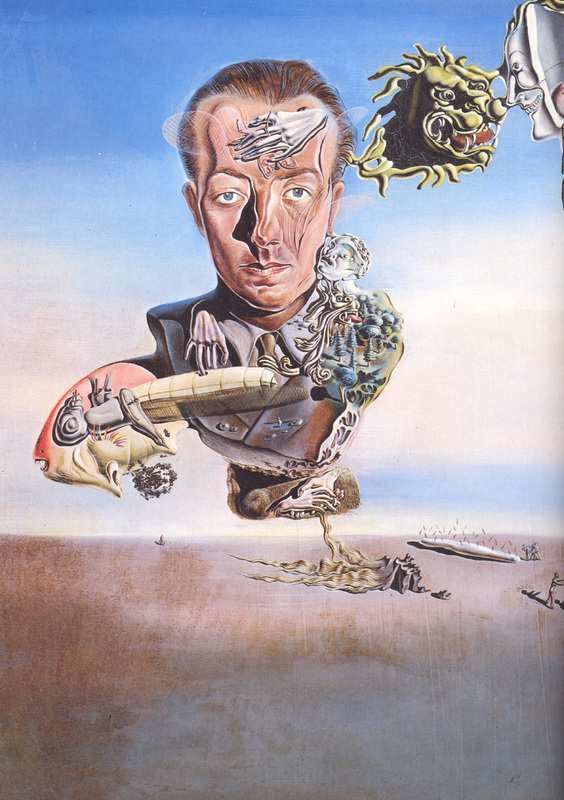 Whereas Tanguy pushed back the limits of an inner universe ‘with no concession to the world of perception’ (André Breton), Dali helped Surrealism enter the modern era by exploiting an image’s cinematographic qualities. Our work (estimate €1.6m-2m) is a masterly example of this approach. 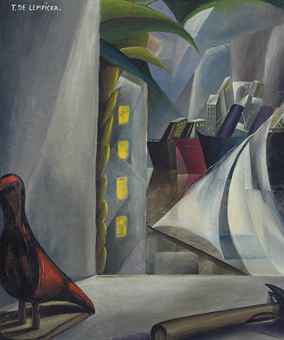 Paradoxically, this small painting conveys the grandiose effect of a cinema screening, with the monochrome composition seeming to capture the light of the silver screen. Its dramatic, mesmerizing composition features disturbing dream elements: a huge sewing-machine topped by umbrellas that cast shadows on to an esplanade lined by an arcade, where fashion models emerge beneath the arches. The sensual ambiguity between the projected and recorded image, and between actual and virtual reality, make this one of the first pictorial takes on cinema imagery. 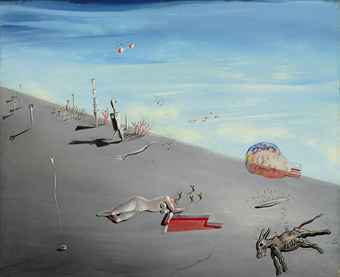 The Sewing-Machine was painted in 1941, during Dali’s time in the United States. 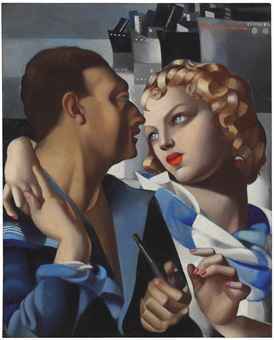 It heralds his first attempts to collaborate with the world of cinema and was, in fact, a project for the film Moontide (1942), starring Jean Gabin. 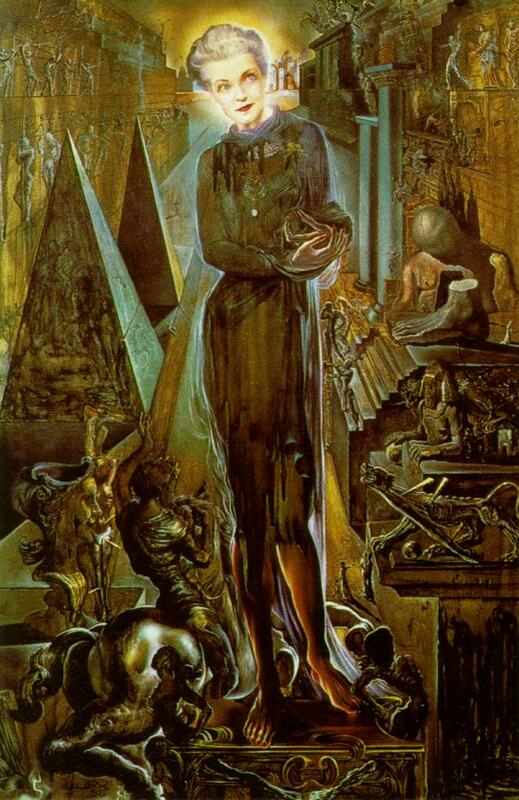 Dali was hired by Fox to work on the film (known in French as La Péniche de l’Amour) under director Fritz Lang. 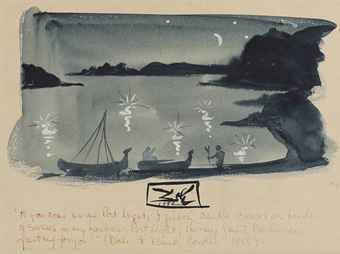 However, following a row with Fox, Lang was replaced by Archie Mayo, and Dali’s designs remained unused. 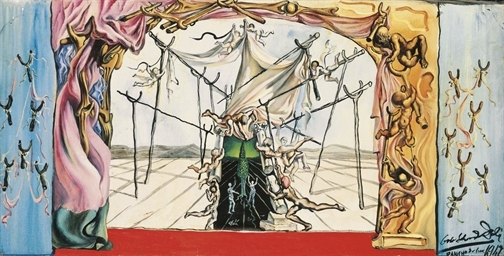 It was not until Alfred Hitchcock’s Spellbound of 1945, starring Gregory Peck and Ingrid Bergman – the first film to be based on psychoanalysis – that Dali’s universe was combined with scriptwriting and found its way on to the silver screen. 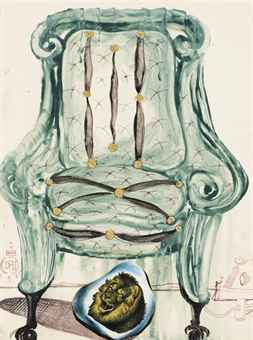 This collaboration was not without fruit – even if, ultimately, it was for Dali a source of reflection on painting and cinema. 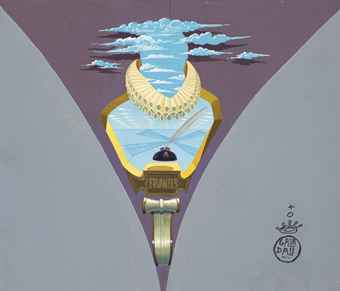 Many years later – among young film-makers looking to Dali’s startling, ambiguous world for inspiration – the wheel would turn full circle. 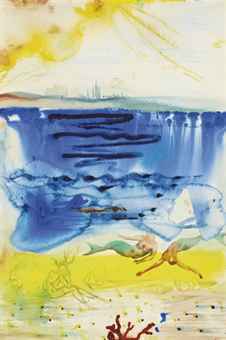 One of the striking paradoxes about Salvador Dali was that he produced his greatest works on small panels. 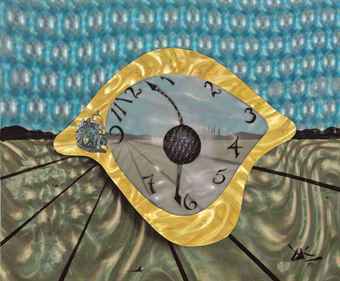 His Surrealist icon The Persistence of Memory or Melting Watches (1931), owned by the New York MoMA and to be shown in the Pompidou Centre’s Dali retrospective this winter, measures just 24 x 33cm. 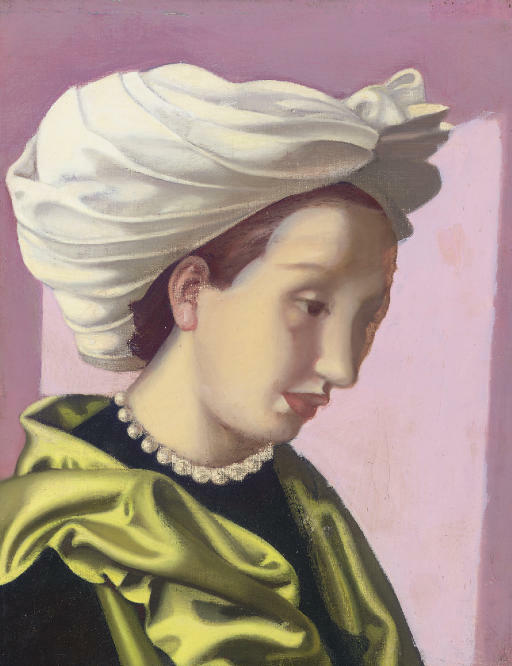 His Portrait of Paul Eluard (1929), sold on the international market for nearly €16.5m in 2011, measures 33 x 25cm; while The Spectre of Vermeer of Delft (1934), sold for nearly €1.9m in 2007, measures just 22 x 17cm. 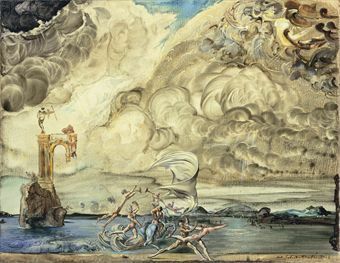 Like a Gothic or Renaissance Master, Dali was able to convey the power of his visions in peerless detail on modestly sized panels. 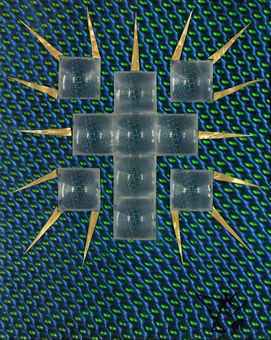 Given its manifold pictorial and intellectual qualities, The Sewing-Machine must count one such masterpiece. 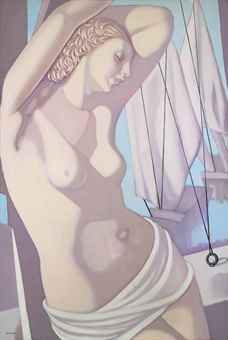 Jeune Vierge Autosodomisee par les cornes de sa propre chastete is a second important work by the artist from 1942. Naissance du Nouveau Monde is a depiction of the cycle of life, death and rebirth and was commissioned to be used as an illustration in the December 1942 edition of Esquire magazine. It is estimated at £700,000-900,000. 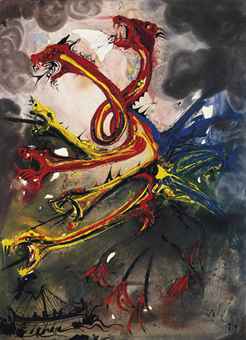 dance in its broad connotations, reminding us of the social satire that is inherent in the Expressionist imagination (est: £450,000-600,000).